20oz cut-pile Marine Outdoor BASS Boat Carpet- 6' wide x 25' long- Choose Color! 4247don has no other items for sale. 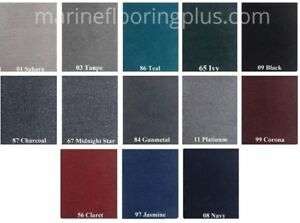 Details about 20oz cut-pile Marine Outdoor BASS Boat Carpet- 6' wide -You Choose Length/Color! There are 1,047 items available. Please enter a number less than or equal to 1,047. Great Seller, Fast Shipping, As Expected! Item as described. Smooth transaction.Fast shipping. Great transaction and fast shipping. Great product. Great seller! Will do business again. Fast fast fast shipping. !! seller was to send sample but never did. poor execution no follow up. 3 day shipping took 8 days but i received the correct item.